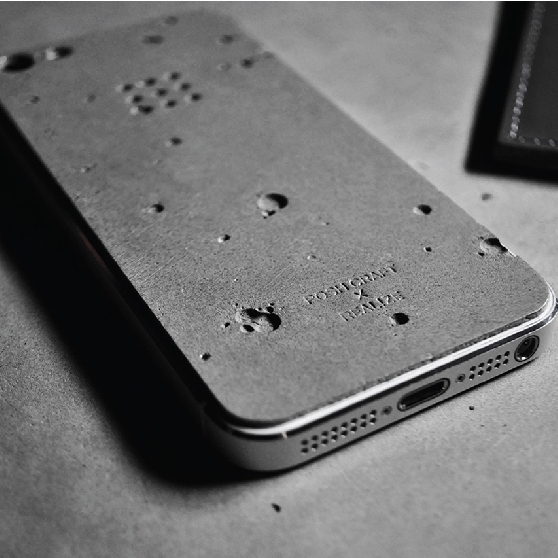 Turning the trend of using Concrete to a new level; a skin for the iPhone. The Korean creative collective Posh Craft and Realize Design Studio were inspired by the surface of the moon and made this fantastic iPhone cover! I would love to have one! !